In a City Registered Historic Home a tiny “staff” kitchen, walk-in pantry and butler’s pantry were combined to provide the space for this multifunction kitchen for hosting informal wine tastings and dinner parties. Custom cabinetry is used extensively to maximize the capabilities and beauty of the space. 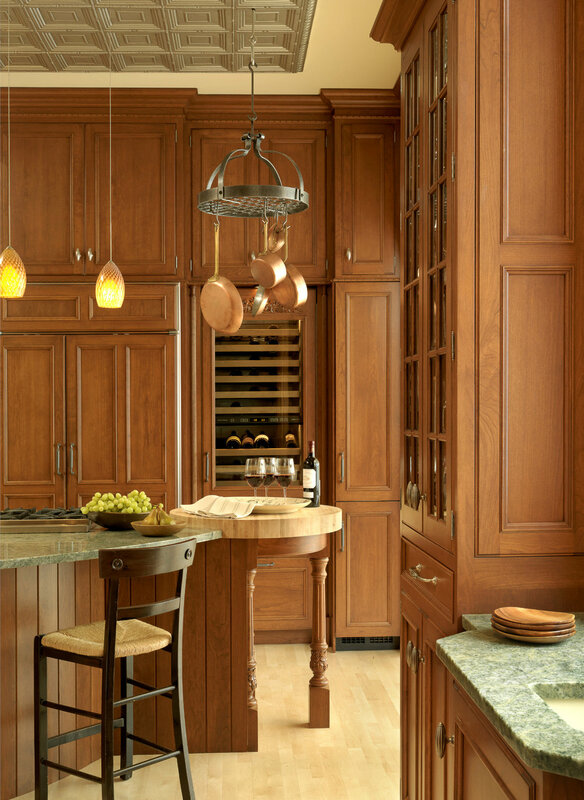 Paneled appliances maintain a perfect symmetry around the wood paneled glass door wine cooler that serves as a main focal point.